Maximum Motor Protection! 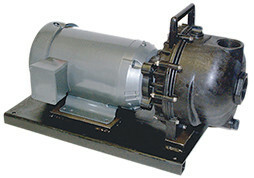 We have designed the new Banjo poly pump to protect the motor seal in the event of pump seal failure. We have separated the pump from the motor by 1" spacer and installed a special slinger/shaft seal that completely protects the engine from any corrosive fluids. This new slinger design is the best in the poly pump industry at protecting your motor.